During our recent travels across the United States, we met with the policymakers, business leaders and activists behind the nation’s radical shift to clean energy. After speaking with them, it became evident that there were countless motivations driving this transition: climate change, healthier air, environmental justice, customer choice, national security and energy freedom. But no matter whom we talked to, there was one universal driver that transcended position and political affiliation — and that’s pure economics . . . 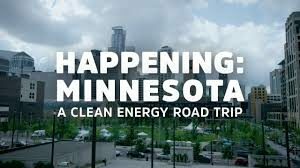 In Minnesota, Governor Mark Dayton’s administration realized that the $18 billion the state was spending every year to import fossil fuels would be better spent investing in infrastructure and jobs right at home. Today, 57,000 Minnesotans work in the state’s growing new energy economy, powered in large part by a pioneering community solar program. Read more here. Kaiser Permanente Signs Big Wind, Solar And Storage Deal With NextEra, North American Windpower. A member of RE100, the company announced in 2016 its plans to become carbon neutral in 2020. Since 2008, it has achieved a 29% reduction in net greenhouse-gas emissions. 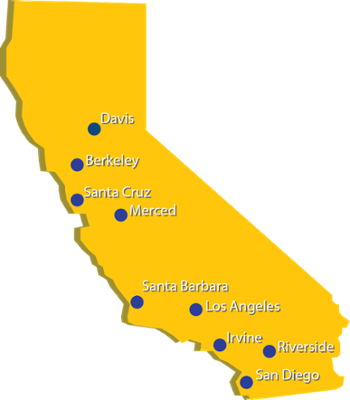 The University of California system (UC) has announced a plan for all of its schools and medical centers under UC Health to transition to 100% renewable energy by 2025. This announcement now means that UC has the most aggressive renewable energy procurement goal of any university known by pv magazine. Building Energy, a multinational company operating as a globally integrated IPP in the renewable energy industry, and Building Energy Holding US, through its renewable energy subsidiary Annapolis Solar Park, announced the inauguration of its largest solar PV project built in North America. 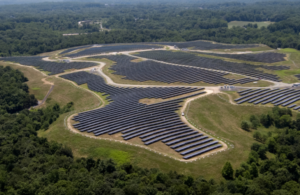 Built by EDF Renewables, the project is located on a closed landfill in the city of Annapolis, Maryland. This entry was posted in NewsBlog and tagged 100% renewable energy news, landfill solar projects, Nebraskans for Solar NewsBlog, RE100, Redford Center, University of California (UC), Vote Solar on September 11, 2018 by Helen Deffenbacher.